There are probably not enough banks with the diversity of experience and ‘appetite’ for the kind of business and financial activities, especially international, that Malta was seeing, the chairman of the Malta Banking Association Marcel Cassar told the Times of Malta. The MBA recently issued a statement saying that the island’s reputation was being damaged by financial institutions failing to live up to their regulatory requirements, referring specifically to the freeze on Satabank’s assets. However, its stance was more prudent when it came to calls for Satabank’s clients to open accounts in other banks. The MBA said that while it could not adopt a collective position on behalf of its members or direct them in any particular way, since each bank had its specific business model, risk appetite and customer acceptance policies and criteria, there was a firm resolve to support the smooth functioning of the economy and the integrity of the financial system. 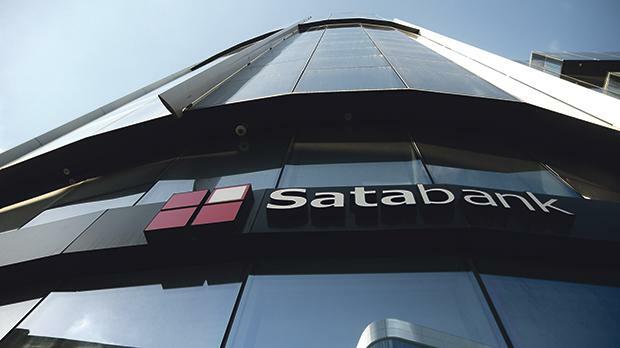 However, company service providers have lamented to the Times of Malta that one of the problems was that other banks had shut the door in their clients’ faces – leaving Satabank as the only one to welcome their custom. “If banks are slamming the door in the face of clients or potential clients, without a plausible reason or justification, then that is not acceptable. If, on the other hand, a client is rejected because the relationship falls outside a bank’s business model or risk appetite, or does not meet its customer acceptance policies and criteria, then one needs to tread carefully. “As long as the business is legitimate, satisfies due diligence requirements and permits the bank to be compliant with its regulatory obligations, what one bank may decline – because it may lack the knowledge or expertise or does not understand the business – another bank is likely to pick,” Mr Cassar said. “I don’t believe that our member banks, who compete actively for business – especially in a limited market space such as ours – are rejecting clients ‘on principle’. “Some might be growing while others might be de-risking, so their interest in new business, markets, clients, will be different. That is normal and it is something which perhaps we have not been used to – which is why I say there is room for more banks, provided they are serious, of repute and can add value to the service chain. Over and above all this is the shadow of regulatory sanctions and penalties on banks found wanting in their compliance standards and controls, he added. He also stressed that the issue could not only be seen in the context of the appetite of the banks themselves but also the ever-tighter standards and requirements set by international correspondent banks – without whose services for cross-currency transactions the banking system would come to a halt. Asked whether some nationalities or countries of origin were on an official or unofficial country grey and black list, he was quick to point out that one should not talk of “systematic discrimination”. “Of course, certain nationalities or countries of origin present higher risks than others. So, for example, there are countries that feature on UN sanctions lists, those on the FATF lists showing different levels of deficiencies in their anti-money laundering and anti-terrorism financing legal/regulatory frameworks, countries that rank high in indices of corruption, tax evasion, etc. And there are countries that feature as high risk on other counts, say because of their laxity in rule of law, enforcement or supervision. “Neither is it a question of ‘nationality’: you could have a Maltese or EU national engaged in high risk cross-border trading activities and an extra-EU national enjoying a low risk, salaried occupation – prima facie, which of the two should receive the higher due diligence and monitoring attention?” he asked rhetorically. “This is not about local or foreign clients. Compliance is about making our business safer, ensuring observance of laws and regulations – but the cost is definitely huge and potentially it cannot be totally quantified. I believe that in the medium to long-term, and as long as Malta steps up to strengthen regulatory oversight and supervision, things will stabilise,” he said.